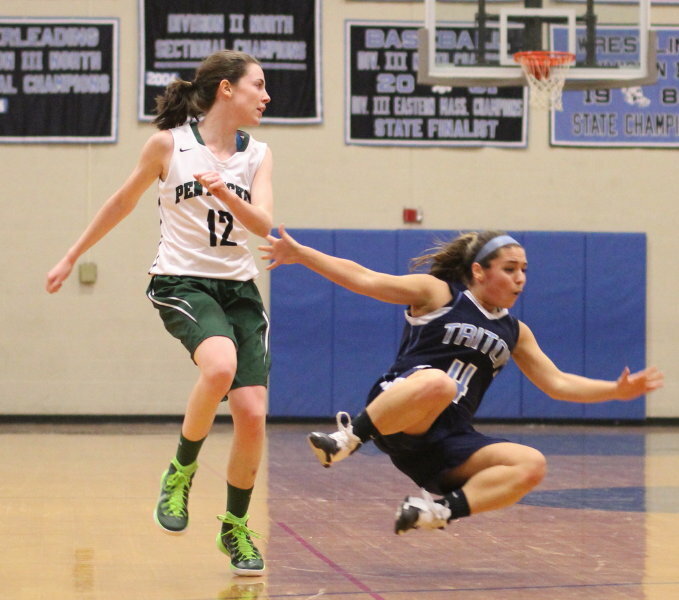 (Byfield MA) Triton had a nightmare first quarter and spent the rest of the game trying to recover. 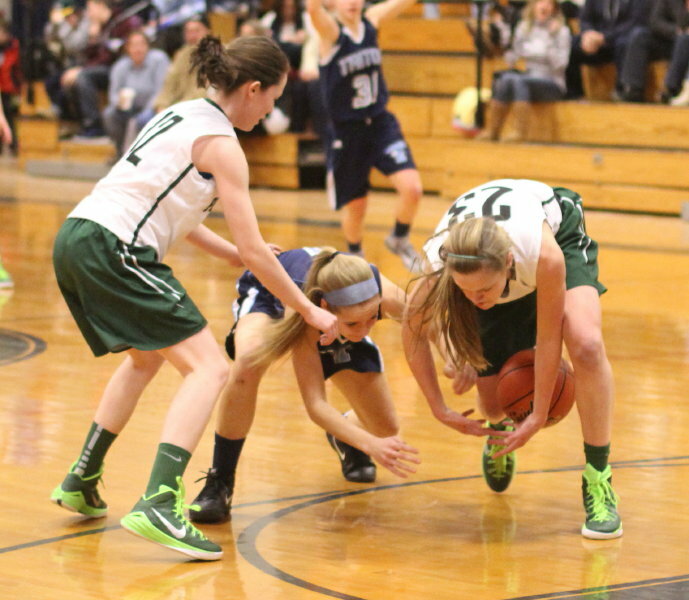 They never did and Pentucket downed the Vikings, 52-39, on Tuesday night in Cape Ann League action. The Sachems have now won fifteen straight and sport an impressive 18-1 record with three games remaining. 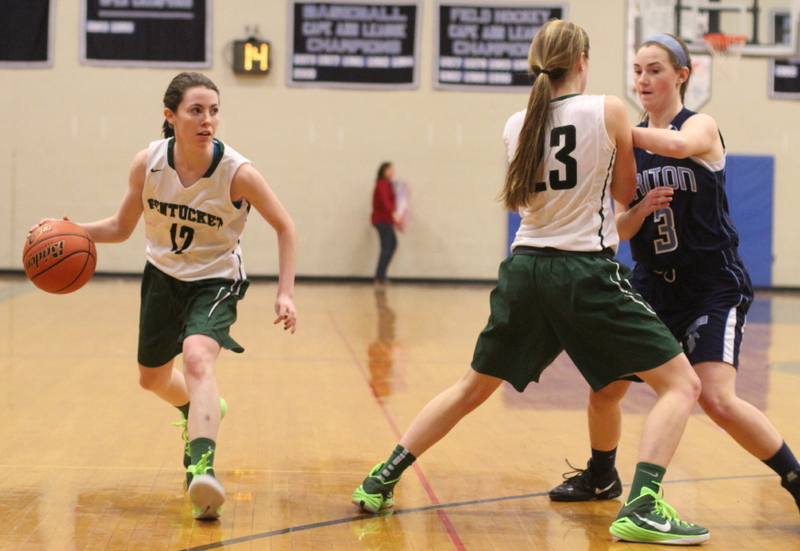 Pentucket gave the home team a full dose of full-court, trapping pressure and rolled to a 19-2 first quarter. 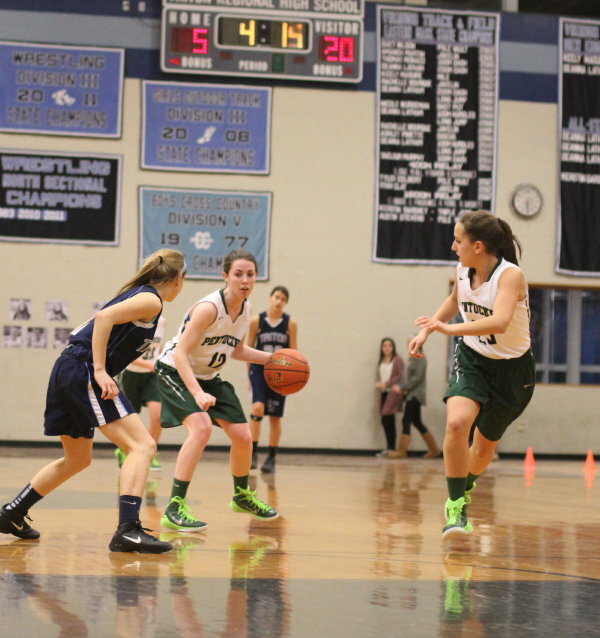 Triton committed ten turnovers and the Sachems turned several of the miscues into instant baskets. Triton head coach Dan Boyle burned two timeouts early in that quarter to try and stop the Sachems but the inexperienced Vikings persisted in dribbling into traps and passing into traffic with bad results. 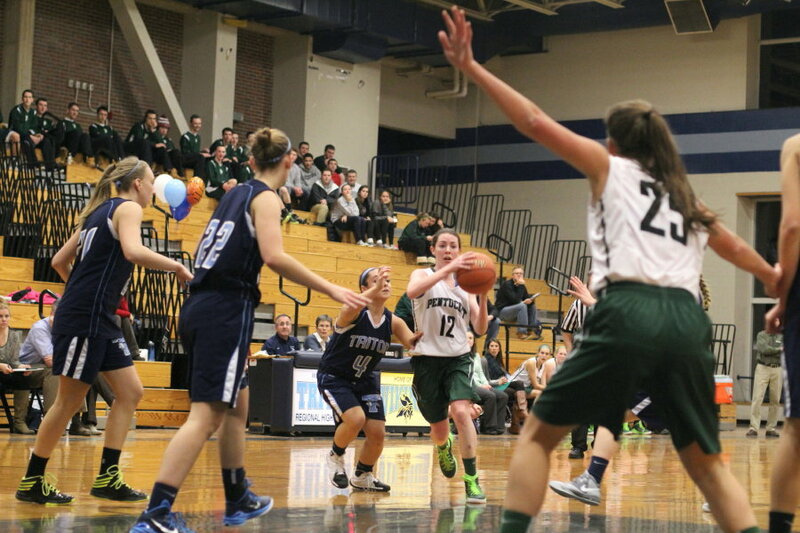 Kelsi McNamara paced Pentucket with twenty-three points, none of them in the runaway first quarter. 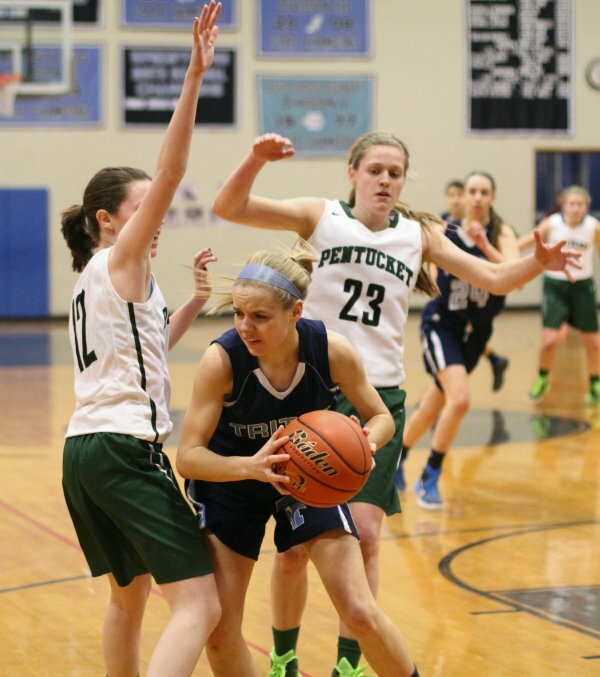 However, Kelsi was part of the effective Pentucket traps that led to turnovers and also assisted on four baskets in the quarter. The Vikings finally broke a run of thirteen Sachems points when Camille Mihalchik hit a jump shot early in the second quarter assisted by Erin Savage. 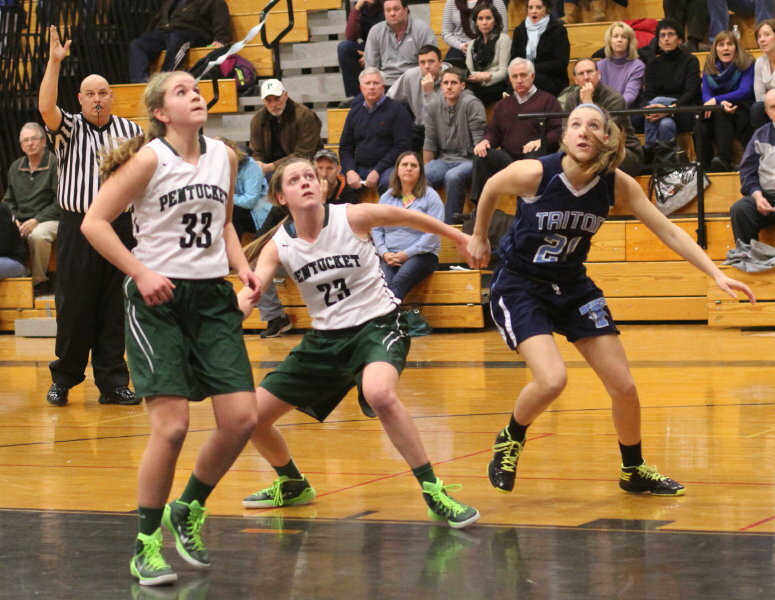 Jessica Greaney (Triton) and Boo Torrisi (Pentucket) traded free throws before Kelsi put six straight points together. The Pentucket senior took a steal in for a layup, hit a floater in the lane, and two free throws to increase the Sachems edge to, 26-5, with 1+ minutes left until halftime. The rest of the way Triton played a lot better. Why? They lessened the turnovers. They had only four (by my count) in the second half. Less turnovers, more scoring opportunities. Key to the Vikings’ turnaround was sophomore Mel Primpas. 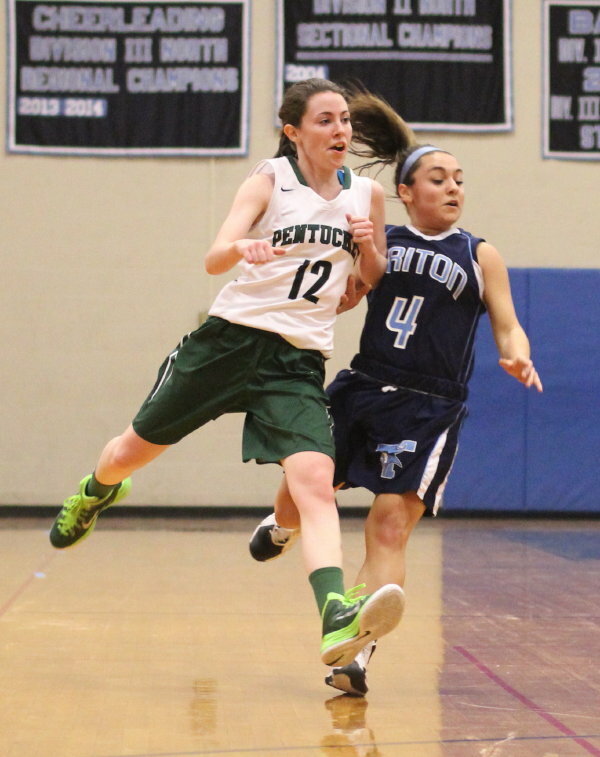 The point guard handled the Pentucket pressure and gave Triton a chance to display their outside shooting and inside height advantage. 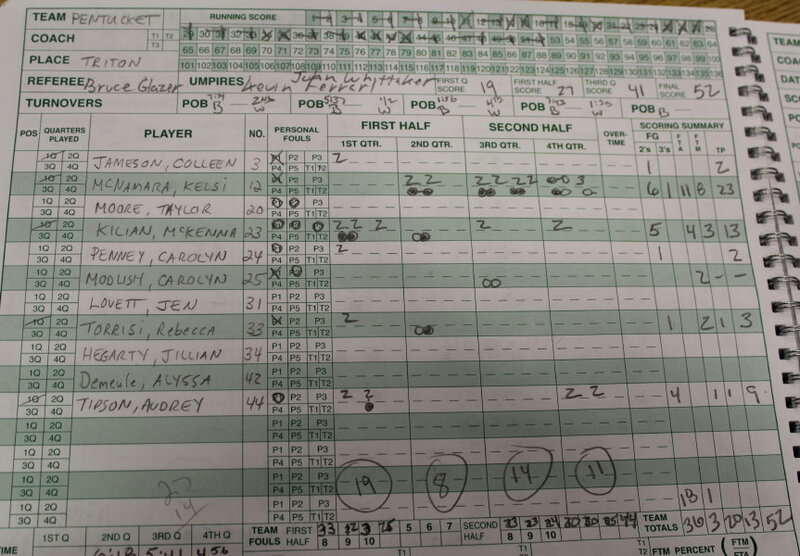 Tessa Lafrance caught fire with a ten-point third quarter including two 3’s as the home team collected nineteen points. Triton put a 10-1 segment together that stretched into the final quarter to close to within ten points (42-32) with five minutes left in the game. Five different Vikings (Morgan Snow, Tessa Lafrance, Abby Ostrander, Camille Mihalchik, and Erin Savage) scored in the rally. 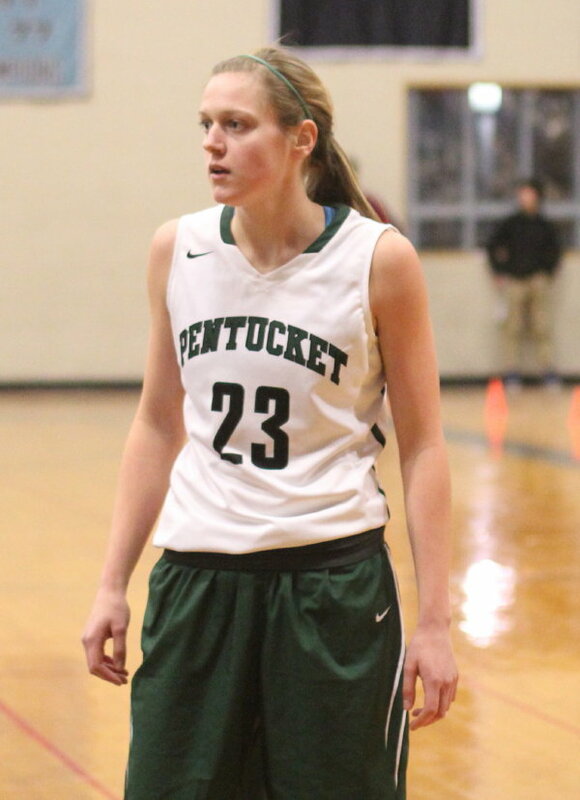 After a Pentucket timeout, the Sachems responded with six straight points (Kelsi free throw, Audrey Tipson layup, and Kelsi three) and erased any thought that an upset was possible. The Vikings did get two three’s in the last minute (Tessa Lafrance & Jessica Greaney) to tighten the final score to 52-39. 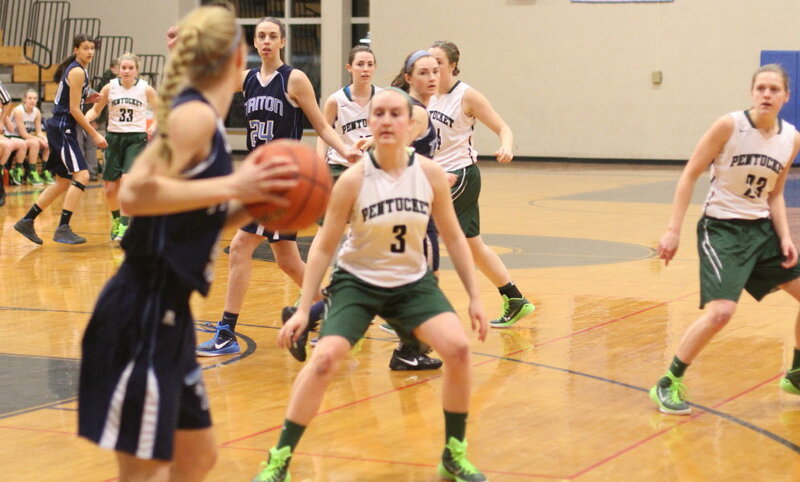 McKenna Kilian (13 points) had eight points in the decisive first quarter for Pentucket. When you see Pentucket play the first thing you notice is their disruptive defense. Watch a little longer and you start to appreciate their ability to see and successfully pass to open teammates. Best play of the game? Last two minutes. 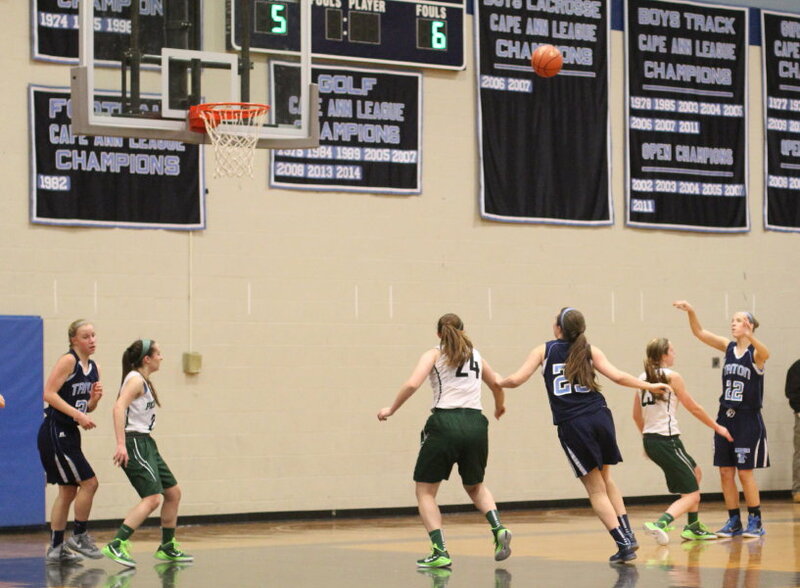 Kelsi had the rebound and McKenna Kilian broke down the left side. A good pass would have been to McKenna on the left wing. A great pass happened when Kelsi took a couple of dribbles up the court and tossed a remarkable drop-in pass over the defender that McKenna caught in stride behind the defender for a layup. 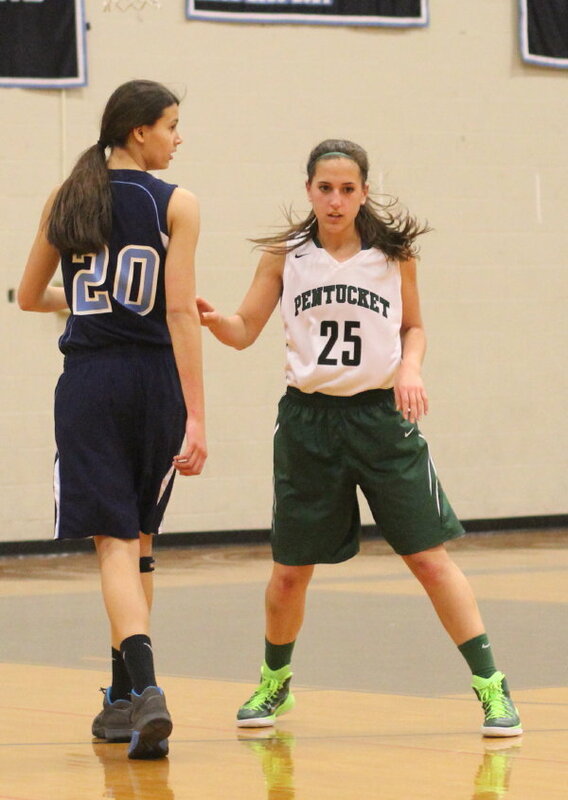 The two teams played on January 5th and Pentucket won, 32-20, at Triton. 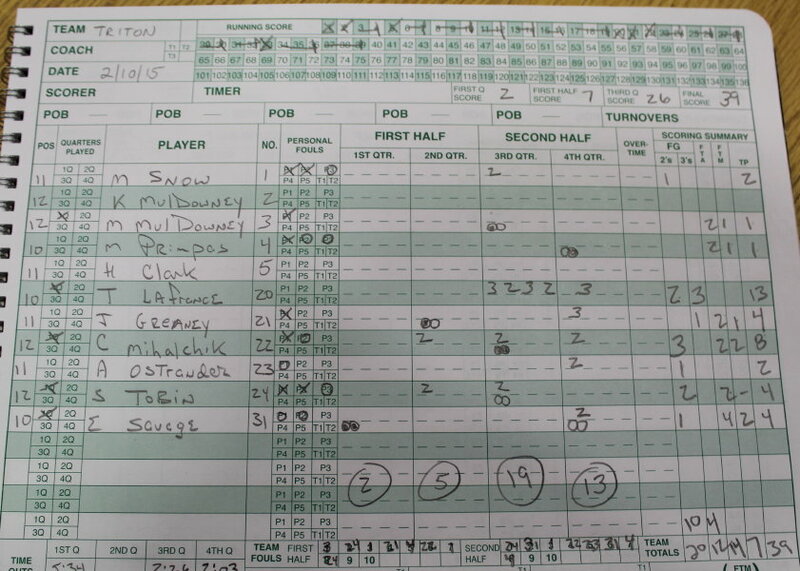 Boo Torrisi paced Pentucket with eleven points. Kelsi had only 7 with no three’s. This game was scheduled for Pentucket but their schools are closed this week because of the snow on the roofs. 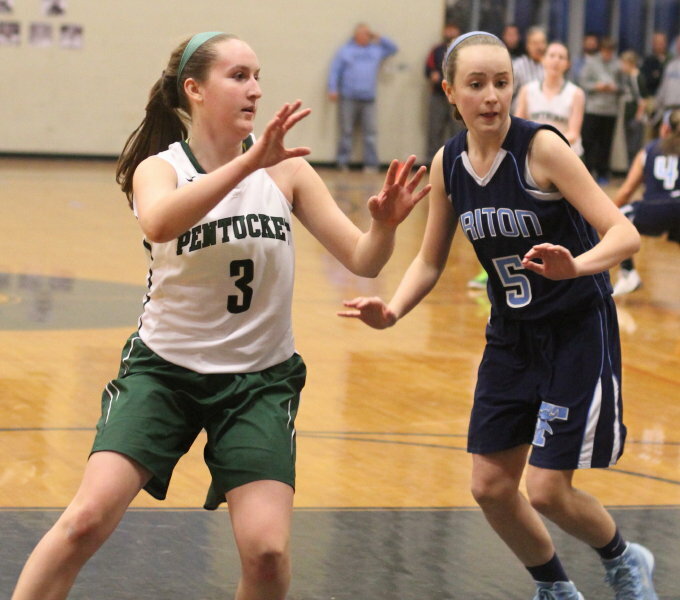 Pentucket finishes their regular season with two games in St. Mary’s tournament next week. They are scheduled to host North Reading this Friday. With the school’s closed you wonder if they’ll be able to have Seniors’ Day at Pentucket. Triton has won seven of their last nine games. They host Malden tomorrow (Wednesday) night. Boo Torrisi and Carolyn Modlish took turns denying Tessa Lafrance the ball. Mel Primpas spent some time covering Kelsi. These two photos show what happened to Mel when she got too close to Kelsi.